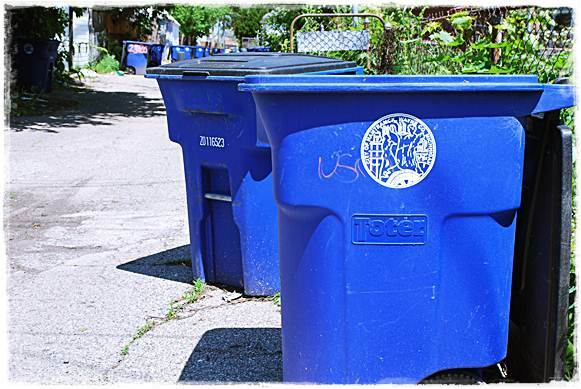 You might want to keep a close eye on your city-issued garbage can. That’s because there is a one-year waiting list to get another one if yours happens to go missing. Recently, a reader named Michael left us a message that he called City Hall about getting a replacement and he was told about the waiting list. We haven’t been able to get a hold of Michael, but we did talk to Marty Ladd, the Director of Public Services. He confirmed there is indeed a shortage of cans. “We have a lot of folks who need cans, but we only got so many,” Ladd said. As for when the city will get replacements, Ladd said that’s up in the air. The city’s original plan was to charge residents $75 for a new can, but that plan never worked out. “We basically gave them away,” Ladd said. So … what’s a person to do? Ladd said residents can purchase their own garbage can, but it must come with a secure lid. The one thing you cannot do, however, is throw your garbage out into the alley in just a plastic bag. That’s a code violation, and you could be ticketed. My trash can got stolen. They told me $100 to replace it. What ever your serial number is on your can, record it, or there is nothing to report to the police, or identify your can after the thief repaints a new address on the can.